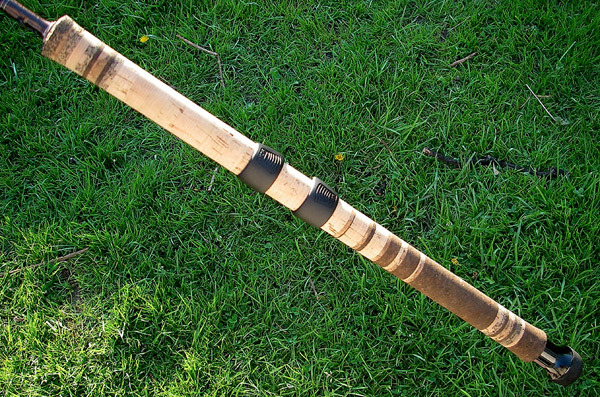 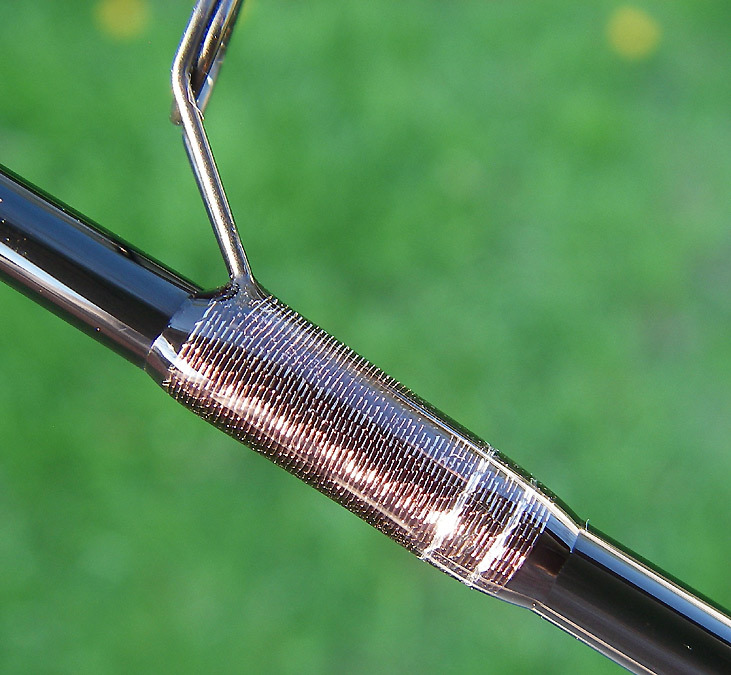 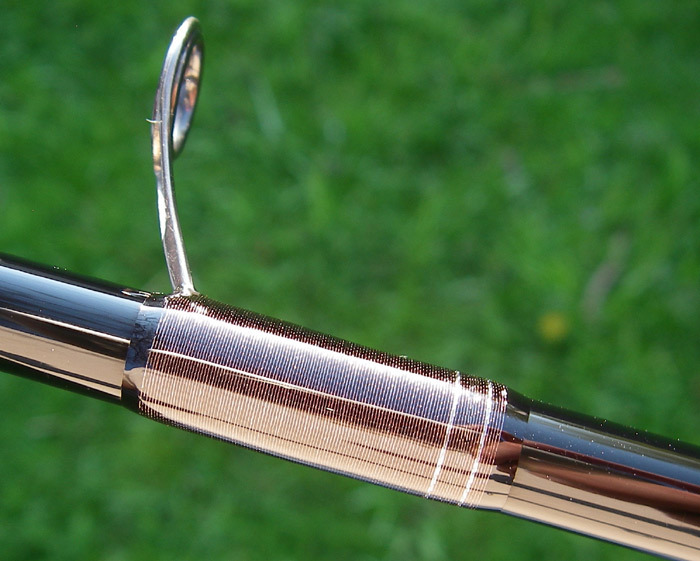 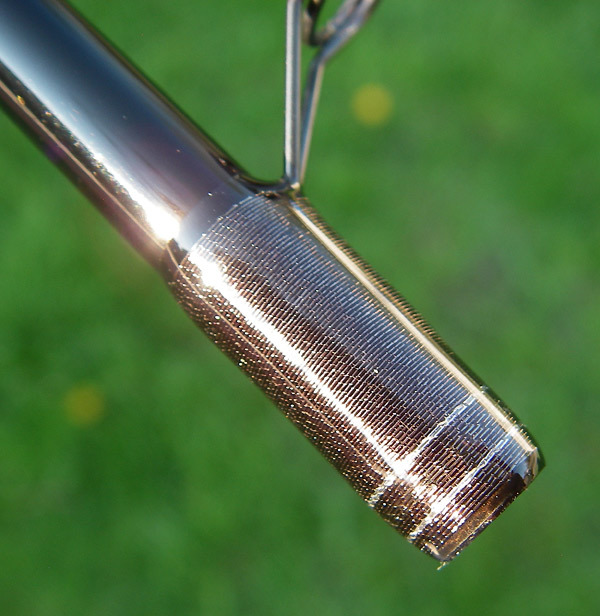 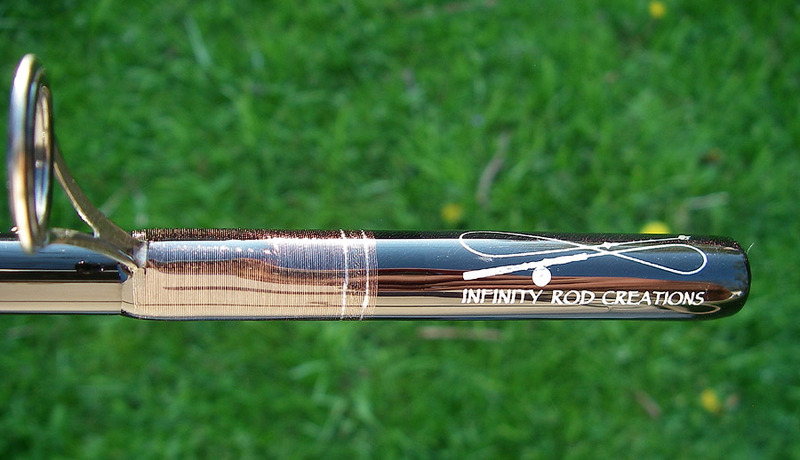 R. Lancaster contacted me a few months ago and wanted a lightweight, high performance float rod that would be used across NE Ohio in his pursuit of GL steelhead. We discussed his likes/dislikes and the rod was constructed around those needs and preferences. 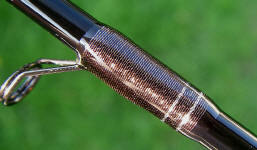 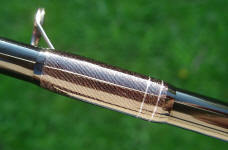 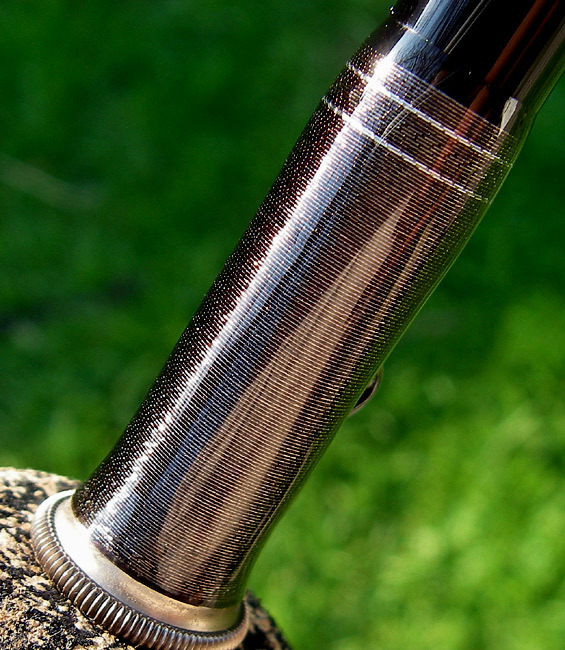 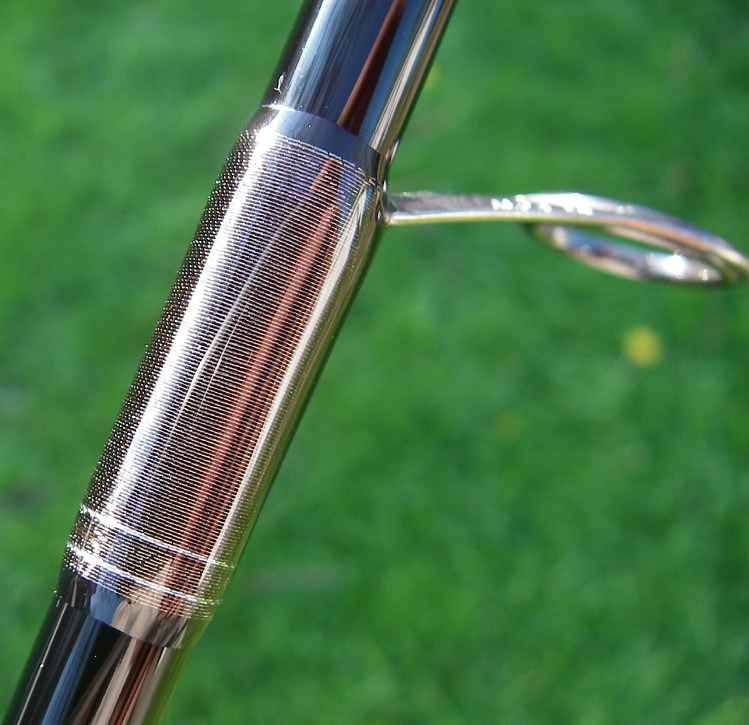 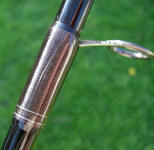 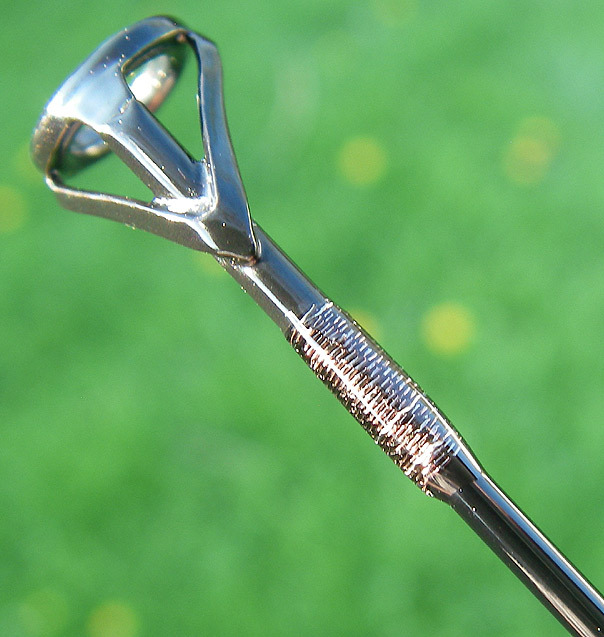 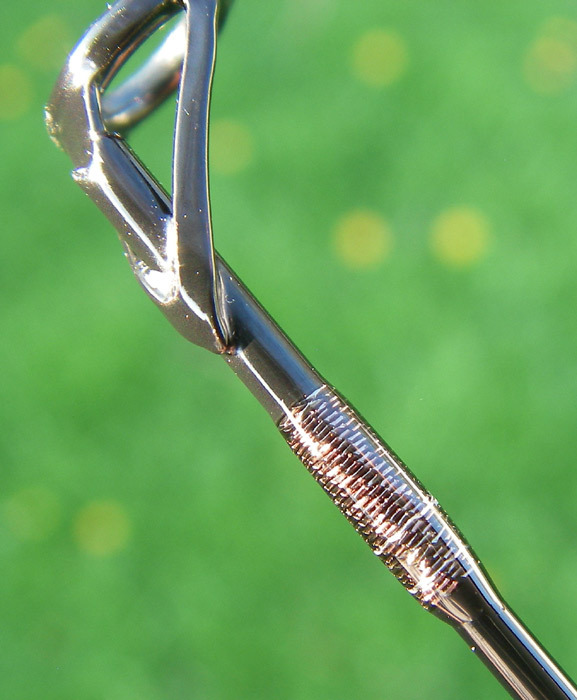 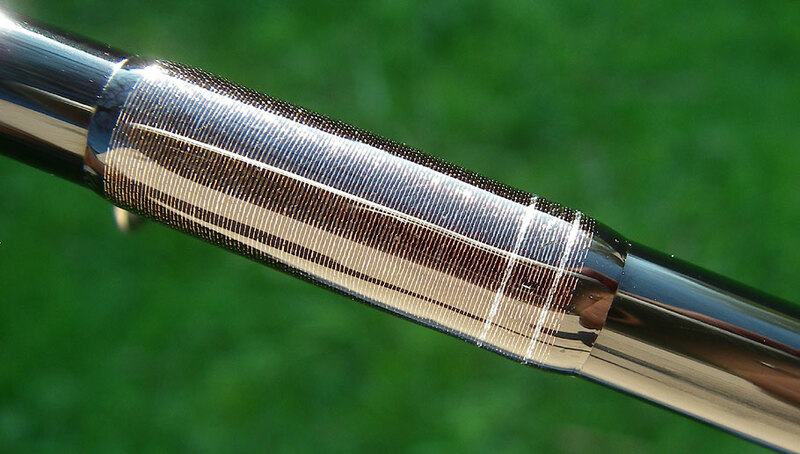 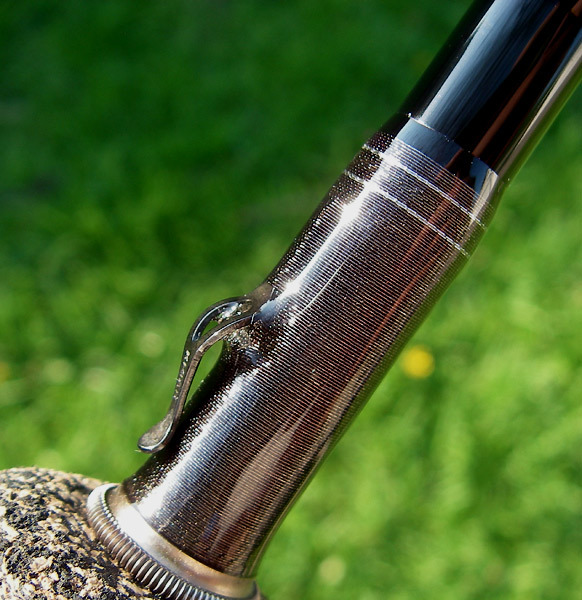 Included on this build is a tiger wrap that highlights the metallic thread of the guide wraps. 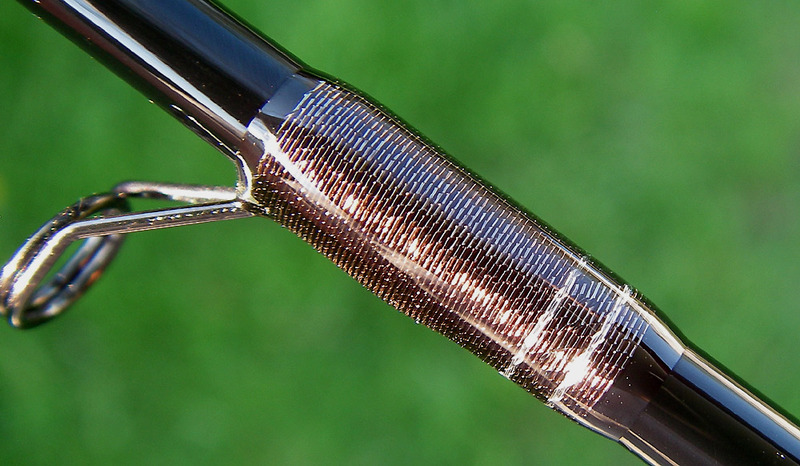 The more subdued colors of the dark pewter/green pearlescent thread produced a cool looking 3D effect without being too flashy. 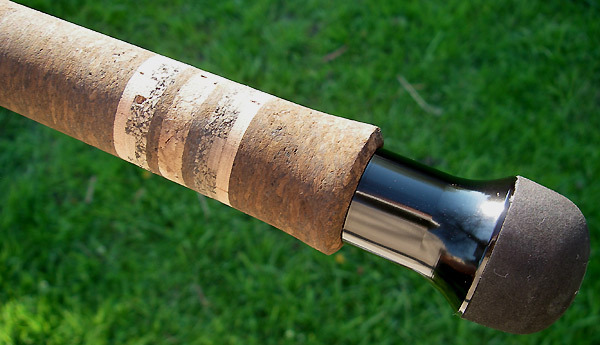 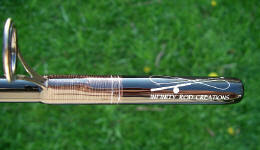 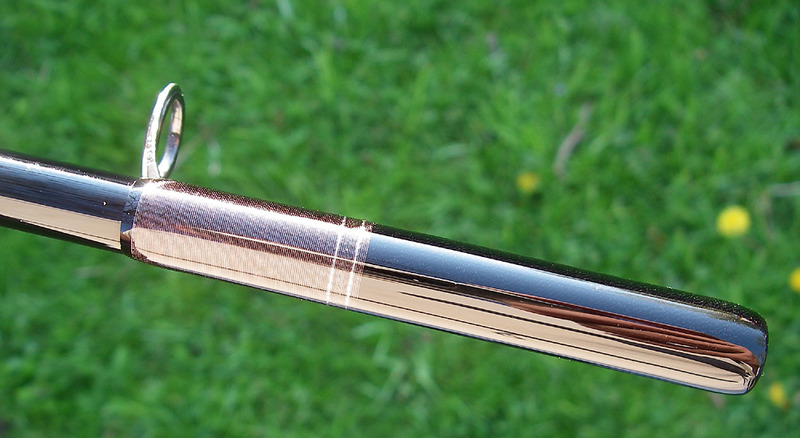 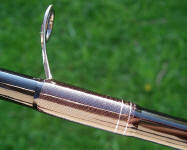 This was exactly what this stealth rod required to set it apart! Believe it or not, there is a slightly different colored accent band wedged in between the chrome metallic bands of the pewter metallic wraps. 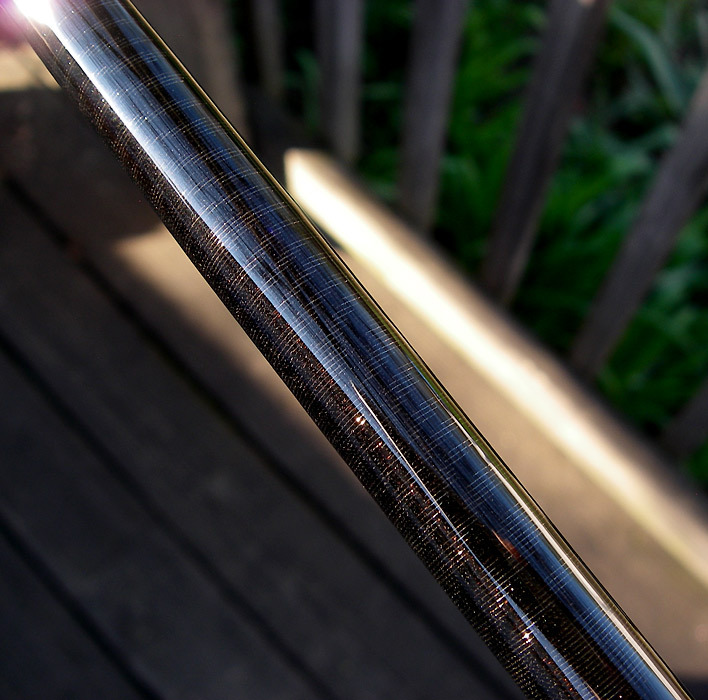 When the light hits it just right it gives off a pearlescent green flash and looks pretty sweet.